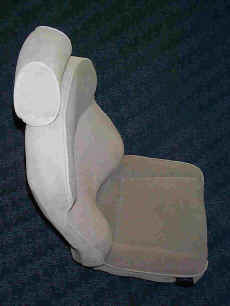 You can see in this picture how the seat comes round the side of the body at belt level. This provides support for the iliac crest area of the pelvis in a way that is never achieved by any other seat. 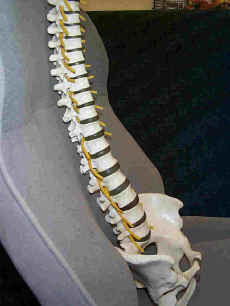 The lumbar and lower thoracic spine is evenly flexed. 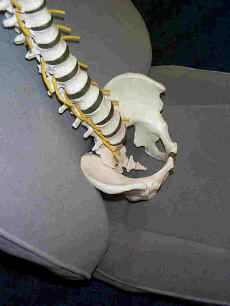 It does not have the hollow or lordosis in the usual place as is caused by lumbar support.